Webchick tweeted about favorite ways to capture the issue queue for long plane rides. I use the Scrapbook Plus Firefox addon. Here's the quick screencast, followed by the recipe. 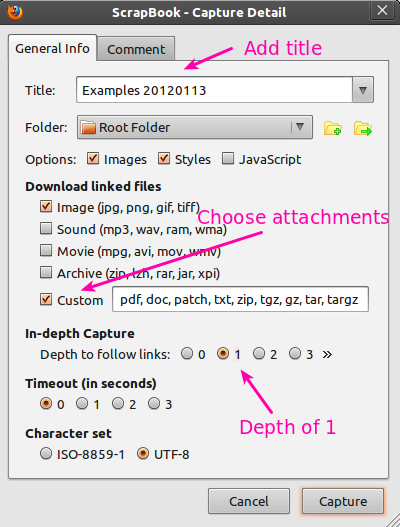 Using Scrapbook Plus to Capture the Drupal Issue Queue for Plane Rides from Randy Fay on Vimeo. Make the capture title descriptive. Filter the results using the regex /node/[0-9]+ to limit the pages captured to issue pages. I love that this is a nice cross-platform solution. I ended up using http://www.sitesucker.us/ for this, but it's Mac-only, and downloads the whole enchilada (screenshots, CSS, background images, referenced issues, etc.) though you could probably tweak that if you wanted to.